Jason Sorochinsky joins The Coop as Senior Vice President and Chief Residential Lending Officer. He comes to The Coop from Elmira Bank in New York, where he held the position of Vice President and Residential Mortgage Manager since 2014. 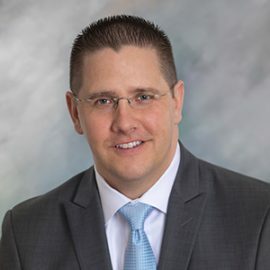 Jason received his undergraduate degree from Ithaca College, went to graduate school at the ABA Stonier Graduate School of Banking, and brings extensive experience in mortgage origination, operations and compliance, as well as secondary market strategy and execution. He and his wife Megan, along with their two-year old son, live in Sandwich. Jason also holds a Commercial Pilot’s license, which he uses in his spare time as a Mission Pilot for Angel Flight NE.